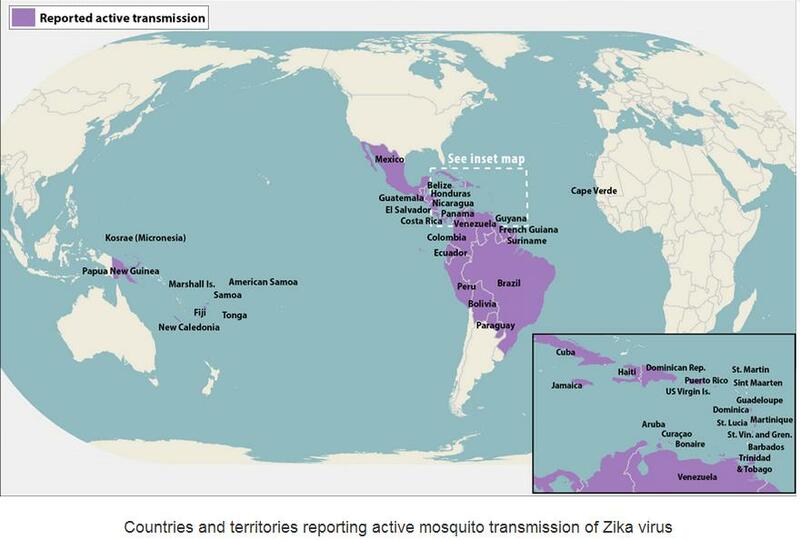 As previously mentioned, there may be other regions where Zika is intermittently transmitting, but it has not yet been verified. The smart play is to take precautions against mosquito bites, no matter where you are in the world, as Zika is far from the only mosquito-borne illness of concern. CDC is working with other public health officials to monitor for ongoing Zika virus‎ transmission. Today, CDC posted a Zika virus travel notice for Peru. CDC has issued travel notices (level 2, “practice enhanced precautions”) for people traveling to destinations with Zika. For a full list of affected countries/regions, visit http://wwwnc.cdc.gov/travel/page/zika-travel-information. As more information becomes available, CDC’s travel notices will be updated. Travelers to areas with cases of Zika virus infection are at risk of being infected with the Zika virus. Mosquitoes that spread Zika are aggressive daytime biters. They also bite at night. There is no vaccine or medicine for Zika virus. The best way to avoid Zika virus infection is to prevent mosquito bites.